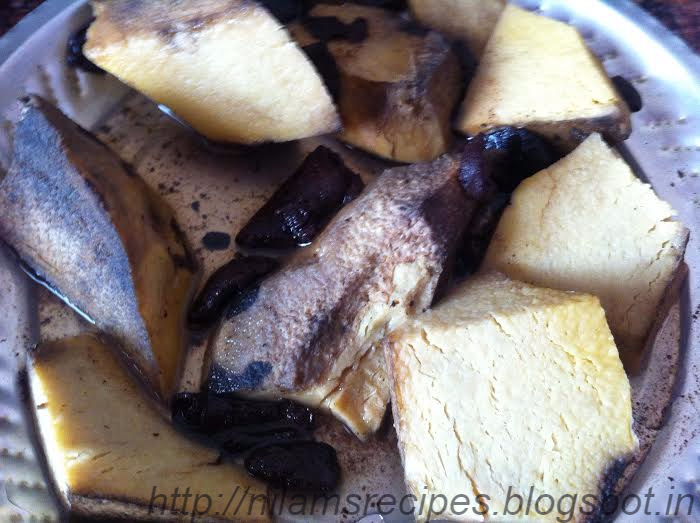 Peel, wash and slice the Elephant foot yam. Remove kokam from boiled yam. 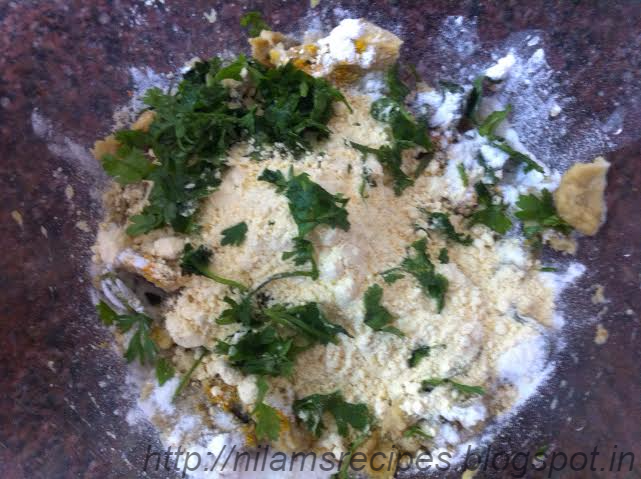 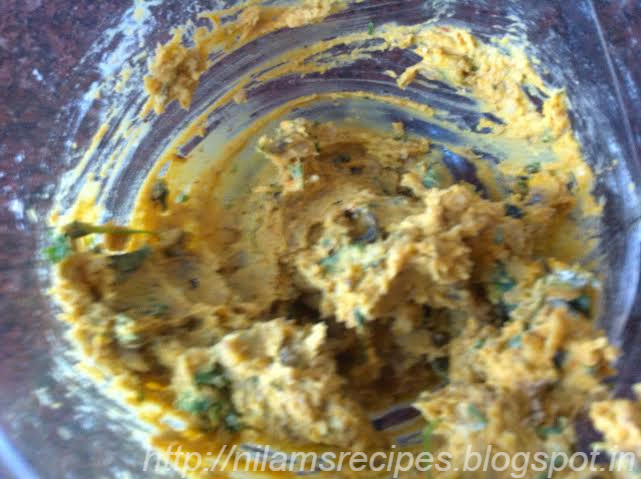 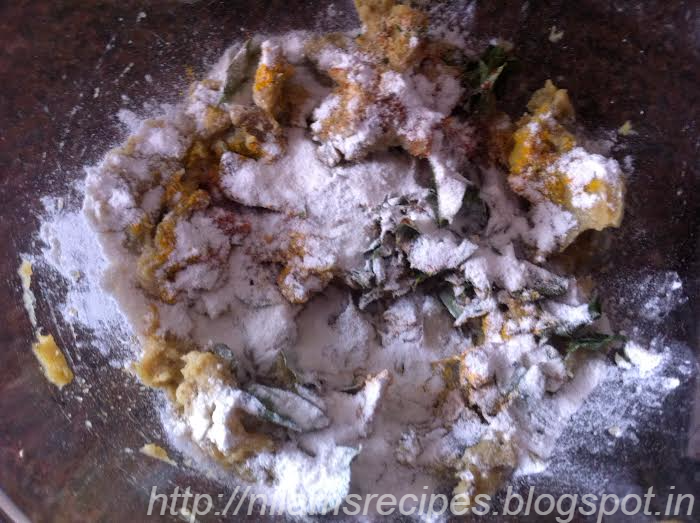 In a mixing bowl add boiled yam, turmeric powder, red chilly powder, ginger garlic powder, chopped coriander leaves, salt, rice flour and besan and mix well as shown below. Heat oil in pan and when it just about starts to smoke, test if the oil is hot enough, drop a small amount of batter into it and see if it immediately sizzles to the top. 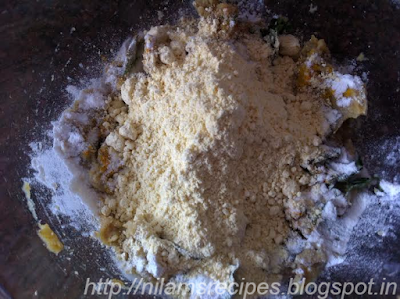 Add the mixture as shown below. 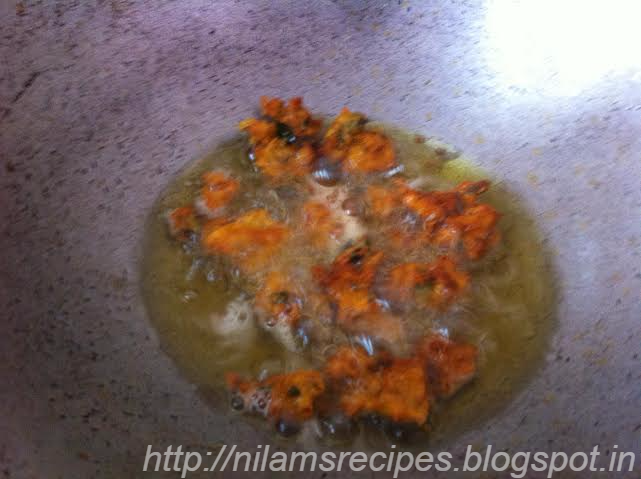 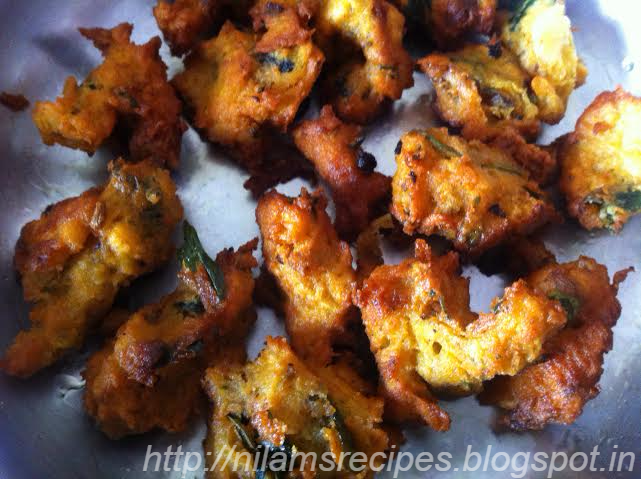 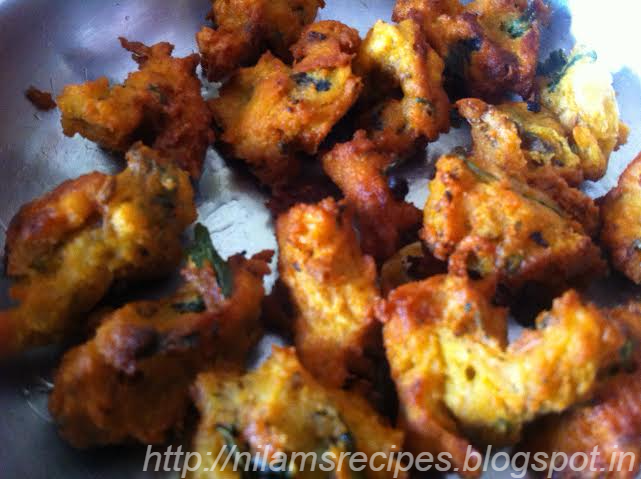 And fry all the bajji like this. 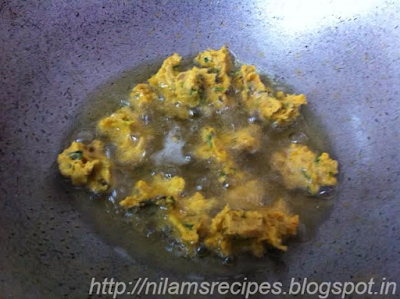 Suranchi Bhajji – Served hot.